It is a snowy day today and I have yet to venture out. Instead I am savoring the morning in style. 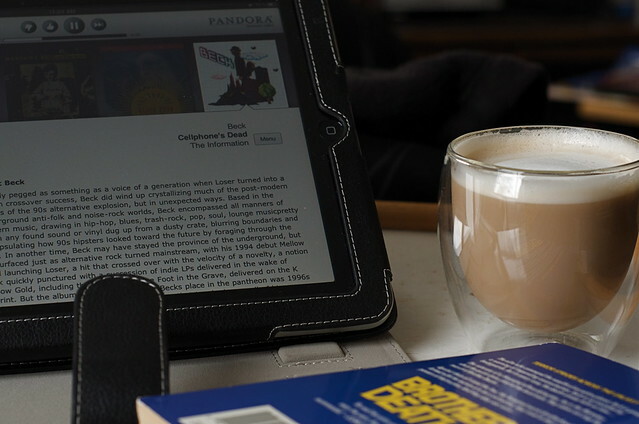 Nothing like lingering on the couch listening to Pandora Radio ("David Byrne" station), sipping a tasty latté, and reading a fun science fiction novel. Even better , the latté is made with Cafe Caribé coffee so I get fond memories of the Caribbean thrown in for good measure.